Philip Thalis is a Registered Architect, with 30 years’ experience in the design of public space, urban design, multiple housing, infrastructure and heritage adaptation. He is a director of Hill Thalis Architects + Urban Projects. In 2016, Philip was elected to City of Sydney Council as a member of Clover Moore’s Independent Team. He is Deputy Chair of the Transport, Heritage and Planning Committee, Chair of the Local Pedestrian, Cycling and Traffic Calming Committee, and a member of the Central Sydney Planning Committee and Green Square Advisory Committee. Philip holds a BSc and BArch (Hons) from the University of Sydney and a CEAA in Urban Architecture from the École Nationale Supérieure d’Architecture de Paris; he is currently a Fractional Professor of Practice in Architecture in the Faculty of the Built Environment at the University of New South Wales. Everyone relies on the city and all the public services it contains. If we have concluded rightly, from what the philosophers say, that cities owe their origin and their existence to enabling their inhabitants to enjoy a peaceful life, as free from any inconvenience or harm as possible, then surely the most thorough consideration should be given to the city’s layout, site, and outline. Yet opinions vary on these matters. Philip’s first contact, as an architect, with Glebe was when in 1992 his newly-established architecture firm, Hill Thalis Architects, was engaged to repurpose the Valhalla Cinema: ‘I was sad to see the closure of the Valhalla, which was important to Glebe and the whole inner city’. Philip’s relationship with Glebe is now 25 years old. He recalls how, 25 years ago, he and his partner, Sarah Hill, met with then Leichhardt Mayor Larry Hand (of Rats in the Ranks fame) to discuss the Valhalla project, with their then two-week-old son in a bassinette. Now their son is 25 years old and lives in Glebe. On the most physical level, the environment prompts people to think of the public domain as meaningless. This is in the organisation of space in cities. Architects … are among the few professionals who are forced to work with present-day ideas of public life, such as they are, and are indeed among the few professionals who of necessity express and make these codes manifest to others. Architects have a responsibility to society, as do planners and engineers; yet they could do so much more to promote the public interest. As a student, Philip worked in the NSW Government Architect’s office, an option that is no longer open to the profession because the state government drastically cut the number of architects there; and those who work there no longer do architecture, but write documents. After graduation in 1984, Philip was headhunted to work on the Darling Harbour development. In what was to become a recurring motif, the state government ignored design advice and the Darling Harbour development was an ‘abysmal failure’. 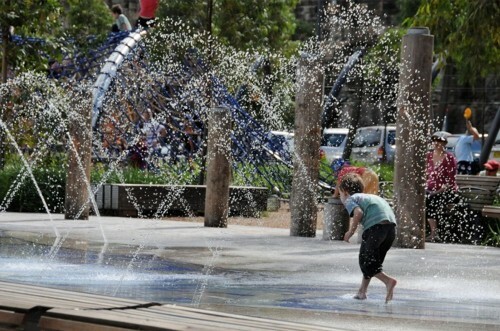 The new Darling Harbour is no better – another ‘disaster’. Before leaving for Paris to study Urban Architecture, Philip worked with the renowned architect, Ken Maher, during which time his commitment to the public interest led him to heavy involvement in the anti-monorail movement – many of us can remember the 10,000-strong ‘No Monorail’ marches in the mid-80s. To illustrate the state government’s contempt for the public interest and disregard for good city building, Philip described the government’s handling of three high-profile projects for which Hill Thalis Architects had won international and national design competitions: the Olympic Village at Homebush Bay (now Newington, 1992), Barangaroo (then East Darling Harbour, 2005-6) and Kensington to Kingsford (dubbed K2K, 2016): ‘In every instance, they’ve done the opposite of what won us the competition’. The winning Barangaroo design included the preservation of public land; and removal of this was one of the many detrimental changes in the final development. Based on his experience with the state government’s handling of these three major projects, Philip now has ‘a great deal of negative experience of the appalling influence of successive state governments on city-making’, and has seen ‘abject leadership from state governments on a range of issues – from the environment to social policy. Certainly they have a deep ignorance and a lack of interest in better planning, while pandering to vested interests’. Also with an eye to the public interest, Philip has worked as a consultant with the City of Sydney in developing their ‘Sustainable Sydney 2030’ strategy, and on the Glebe Affordable Housing Demonstration Project in the area bounded by Cowper St, Bay St and Wentworth Park Rd. Given his commitment to public space and the public interest, it’s not surprising that Philip was approached by Lord Mayor Clover Moore in 2016 to run on her ticket for election to Council. Initially he was reluctant as he was already very busy, but Clover was persistent and Philip saw the opportunity to further protect and champion the public interest. He joked that, as he already has a full-time job, he now struggles to maintain a good ‘work-work balance’. Philip outlined the City of Sydney’s track record in protecting the public interest – a record of unparalleled success that attracted him to Council. This includes: a significant number of public projects including award-winning public spaces and places; good forward planning; genuine consultation and social engagement (including making a strong effort to speak up for the less privileged members of our city); environmental leadership (‘so lacking at state and federal level – state slightly better than federal, I would say’); and commitment to design quality. Philip summarised some of the public interest projects undertaken by City of Sydney since Glebe was transferred from Leichhardt Municipality to City of Sydney in 2003. He commented on the ‘generous scale’ of the most recent stage of the Glebe Foreshore Walk (on the bay side of Sydney Secondary College). He observed that ‘the harbour is such an important public asset and people want to use it – you need to build in extra capacity’, and advised us (perhaps in reference to an earlier discussion about bicycles and pedestrians on the Glebe Foreshore Walk) that ‘there is always conflict in a successful city, and the issue is how you manage that conflict’. Other City of Sydney projects of public benefit in Glebe are: the restoration and additions to Glebe Town Hall; improvements to Foley Park including the award-winning ‘quite magnificent little toilet block’; St James Park and John Street Reserve; and Robyn Kemmis Reserve. Hill Thalis were involved in the site planning of the Cowper St social housing development in 2008-9; Philip said that the delay in completing the project was ‘unacceptable’ and ‘depressing’. A number of factors contributed to the delay, including soil contamination that required the total removal of topsoil, and Philip wondered whether the contamination (which dated from the industrial uses before 1950) may have affected the health of the people living there prior to the redevelopment. Another factor in the delay was the lack of commitment by the state government to social housing. It was interesting to hear that the state government uses a model for social housing that says you should not have more than 30% social housing in an area; the remainder being ‘market housing’ that subsidises social housing (this figure of 30%, we heard, is based on questionable British research). Philip noted that when he was young, public housing catered for the lower 30% of income but ‘because state governments have invested so little over the last 30 years’, it now caters for the lowest 10%, ‘it’s really crisis social accommodation’. This is why affordable housing is so important. Philip finished his observations of the Cowper St project with: ‘As we’ve become more comfortable, we’ve got to look out for all the members in our society’. The final public interest project to which Philip referred was Harold Park; specifically the community space that was launched the day prior to the AGM, and the park which Philip thought was an excellent open space, although its opening has been delayed by drainage problems. 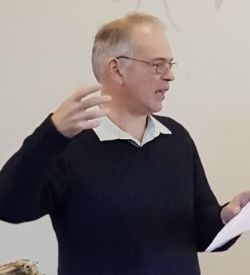 Though not specific to Glebe, Philip spoke about a number of other ways in which the City of Sydney promotes the public interest: the City has an interest in design excellence and design competitions; championing new parks and re-workings of existing parks; public spaces; cycleway and pedestrian connections. Public art contributes to the amenity of public spaces. 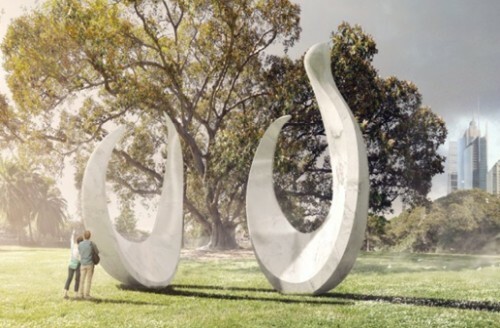 We heard about Cloud Arch, the public artwork planned for the George St intersection near Sydney Town Hall. Philip described Cloud Arch as ‘a work of tremendous confidence and risk’, and drew comparisons with the construction of the Opera House: Cloud Arch’s young Japanese architect, Junya Ishigami, references the original drawing of the Sydney Opera House which included a cloud above a podium. In support of the Cloud Arch, Philip said ‘it re-centres the city and says the city is not just a CBD, it’s the centre of the city for all of us’. Philip said that Cloud Arch, located at the intersection of the main north-south axis (George St) and east-west axis (Park St and Druitt St) will re-centre the city. Further, ‘none of us knows exactly what it will be like, so we are all taking a leap of faith. As with other artworks, if it’s not popular it could be removed’. Another current public artwork for Sydney is ‘Bara’, a sculpture that is part of the ‘Eora Journey’ program. Bara is designed by an Aboriginal woman, Judy Watson, and is two curved forms in the shape of fish hooks used by Eora women to fish from canoes. The artwork will be located on the Tarpeian Way above Dubbagullee (Bennelong Point), in powerful dialogue with the Harbour Bridge and the Opera House. ‘Stadia Mania’: unnecessarily replacing stadiums at Moore Park (and Parramatta) at the behest of the ‘unelected’ Board of the Sydney Cricket Ground Trust. Selling-off public housing: Philip was horrified by the treatment of the Millers Point public housing. The ‘purging of the first public housing in Australia … decimated a unique community’. Currently there are only 28 residents left and still dozens of buildings yet unsold; since the NSW government had already made $200 million more than their sales target, Philip urges them to stop selling now and allow people to move back into their homes. He also noted that the NSW government plans to demolish and sell off public housing in Waterloo, and that it is ‘no coincidence’ that the newspapers are now carrying stories about unacceptable crime rates in Waterloo while in fact, such rates are not out of the ordinary for that area, nor in other public housing areas, including Glebe. 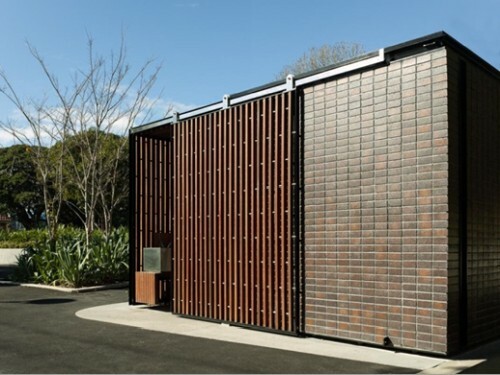 Affordable Housing: the state government’s SEPP Affordable Rental Housing guidelines allow euphemistically-named new generation Boarding Houses to be built with dwellings as small as 16 m2 – which is not ‘dignified’. While supporting compact and affordable housing, Philip explained that amenity improves significantly if dwelling size increases even marginally and for that reason, he refuses to design dwellings of the minimum size permitted by the guidelines. Further, under the guidelines, developers are able to make affordable housing ‘affordable’ by ‘taking out any idea of quality’. He made the point that rent for affordable housing already built ranges from $300-500 per week, which is ‘not affordable’. It was surprising to hear that the affordable housing strategy ‘actually has no criterion for affordability in it’, such as a rent-control mechanism. In fact, ‘all the good amenity standards in SEPP65 don’t apply – even though the building will be here and lived in for decades to come, it will be substandard’. Selling the Sydney Sandstones: another criticism of state government concerned the ‘disgraceful’ sale of the ‘Sydney Sandstones’; The Department of Lands and Education which occupies two whole city blocks on Bridge St. Philip asked members what we would expect such a sale to bring in, and the figure of $100 million was ventured. In fact the sale brought in $35 million – a ‘fire sale’, and ‘that’s probably after several million dollars to Macquarie Bank and their cronies to market [the buildings] internationally’. Selling the Sydney Sandstones is not an isolated incident. The NSW government, Philip said, has sold off $9 billion worth of public assets. One of the key tests of the public interest is whether the sale is in the interest of future generations. Philip believes that generally they have not been: ‘We’ve basically done future generations out of their assets! So when, for instance, we want to expand public schools in the city, where’s the public land? It’s all been sold now for a little blip [in revenue], which only benefits the incumbents, and not even gone into social and affordable housing’. And the problem does not end with the fire sale of the physical properties but extends to the 30-year lease of NSW Land and Property which regulates land transactions in NSW – ‘a real invitation to corruption’. Underlying this failure to meet the public interest test is an ideological commitment, Philip believes, to privatisation. Privatisation has driven government agendas across Australia for several decades – Liberal and Labor. He explains: ‘It would be fair to say that this state government’s primary motivation is privatisation. Ironically, this is against a conservative mindset that wants to maintain what is good in society’. Philip believes that the privatisation agenda is plainly unpopular: ‘We the people understand how hard-won our community assets are and how, in a sense, they’re an investment in hundreds of years of public policy, so why are they going in a fire sale? I think we feel very uneasy about that’. Privatisation also drives the NSW government’s approach to public transport, Philip says. Implementation of public transport projects has been ‘botched’; for example the Eastern Suburbs light rail implementation has been ‘brutal’; 50 cities in Europe show how that it can be done well, but in NSW it has been over-engineered and intrusive. The Metro project is ‘naked privatisation and extraordinarily clumsy in its implementation’; as a mode of public transport, metro is designed for high frequency short-to-medium trips in which people may be standing; and this is clearly inappropriate for a 38km route – compared to other cities, our metro is ‘the wrong system’. 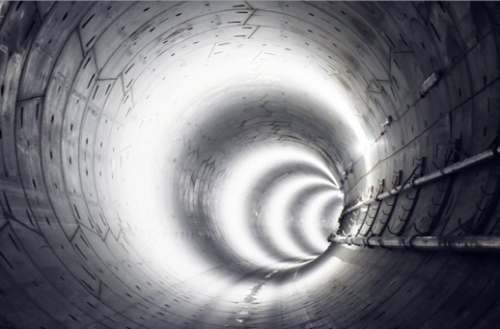 Further, then Transport Minister, Gladys Berejiklian signed off on Metro tunnels that are purposely made too small to prevent future adaptation to heavy rail when it becomes necessary, a ‘shockingly ideological-driven decision’. ‘Hilariously’, Philip noted, ‘they’ve done the opposite with the buying of carriages for the Blue Mountains line that don’t fit in the tunnels, so the tunnels there need to be expanded’. Next on the list of Metro failures is the high number of buildings being demolished in the city for its construction, while London managed to knock down fewer while building the more expansive Crossrail. Another puzzling decision is to include only one stop in the stretch through the inner city between Central and Sydenham, a distance of 7.5km – a situation ‘unheard of’ in other world cities. Finally, Philip took a stand against the conversion of the Bankstown Line as ‘unnecessary and effectively privatising the public line’. Next in the litany of NSW governmental public interest failures is ‘Motorway Mania’, including: NorthConnex (‘another unsolicited proposal, which won’t take the trucks of Pennant Hills Rd’); the Northern Beaches and Harbour Crossing; the M9, the M12 and the F6 (‘recalls the folly of 1950s-designed Darling Harbour flyovers, implemented belatedly by Laurie Brereton, = a Minister for Shocking Infrastructure – something of a NSW speciality’); ‘and, of course, WestConnex is actually the one that links all those other nasties together’. And finally, the Bays Precinct – Philip is very concerned about this. He meets with a coalition of residents and Jamie Parker MP and they, like the rest of us, ‘don’t know what the government is doing’. The new Sydney Fish Market site is looks like ‘privatisation of the harbour in order to free up a huge development site in Bank St’, with some suggesting inflated targets of up to 2,800 individual dwellings there. There’s a lot to speak up for in the public interest – and in many ways; and this has been echoed back to me by the public – the City of Sydney is a beacon of democracy. Being part of a beacon of democracy in these contested times, in one of the most rapacious periods in the city’s history, it’s incumbent upon us to stand up in support for a better Sydney – and so I’m very proud to do that; and I do it at great personal and professional cost. After we won Barangaroo, we hardly got a state government job for 10 years. You would have thought we had proved we knew what we were doing, but no. Regardless I think it’s very important to champion the public interest. The most important single task for architectural criticism is to rise in defence of public space. Threatened by the repressive sameness of global culture, contracted by breakneck privatisation, devalued by contempt for public institutions, and victimised by the loss of the habits of sociability, the physical arena of collective interaction – the streets, squares, parks and plazas of the city – are in their free accessibility, the guarantors of democracy. And that’s how we concluded our presentation to jurors on the Barangaroo Competition. We said ‘public space is the physical manifestation of democratic society itself, and that’s something worth standing up for’. 1. Leon Battista Alberti, On the Art of Building in Ten Books. Translated by Joseph Rykwert, Neil Leach, Robert Tavernor. MIT Press, Cambridge Massachusetts, 1989, p.95. 2. Richard Sennett. The Fall of Public Man, Penguin Books, London 1974, p.12. 3. Michael Sorkin, Advice to Critics. In, All Over the Map: Writings on Buildings and Cities. New York: Verso. p.150.